If you're trying to find a place to store your things over the holidays, then you know it can be difficult. We've got the perfect student storage solution for you! We'll come right to your door to collect your items and then deliver them back to you whenever you want. 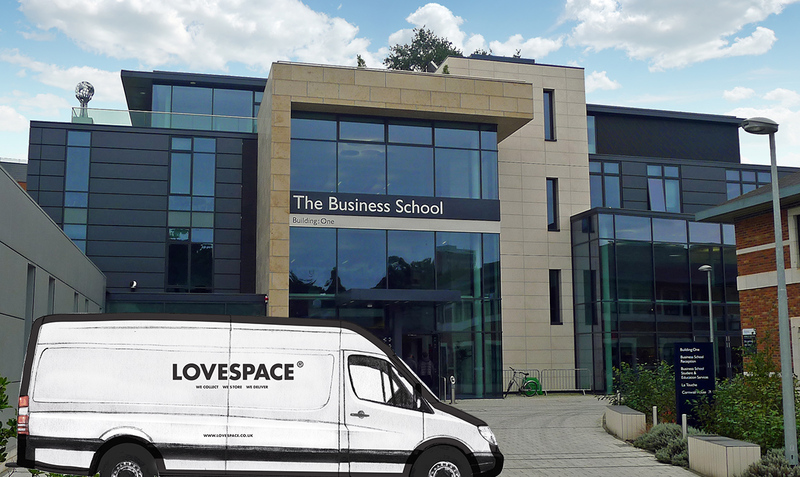 Many students don't have cars, but with LOVESPACE we take all that hassle out of storage. And because we do our prices by-the-box, Exeter students can often get a much better deal with us. Hiring a van for the day or begging your friend with a car is a nightmare. With us, you can relax - we'll come to you! We collect for FREE and as soon as the next day. We'll also deliver your things back to you. If you don't have boxes and tape lying around then we can provide them. On top of that, we have bubble wrap, book boxes, bike boxes and poster tubes available. "Stored 6 boxes with Lovespace and was recommended via a friend. Their website is extremely straightforward and easy to use. Limited things you need to input and specify, just essentials like how many boxes and for how long. Rates are also competitive and you don't pay more than what they display. Pickup was great as well and everything was done as per expectation. The instantaneous e-mail that I was sent when the boxes were picked up also provided peace of mind." I have just started University and seeing that I have quite a lot of free time (pretty strange for a law student, I know!) 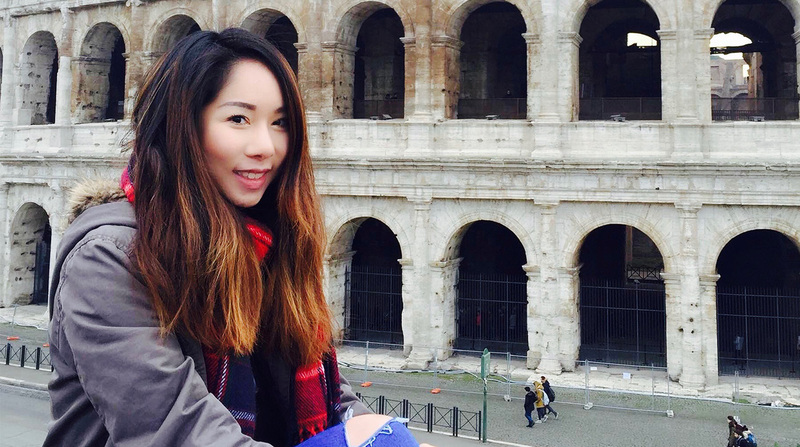 in between lectures and seminars, I thought I'd take up some extra­curricular activities that will not only give me some insight into the working world but also to earn some extra allowance. At that point in my degree I would probably be heading towards becoming a training solicitor or barrister, or still be taking my Bar Exams. But to be brutally honest, I would actually love to be able to travel, meet new people from all over the world and all walks of life, and work at the same time. I guess I will just have to see where life takes me! Yes, and I was utterly impressed by the service! As an international student, the concept of placing belongings in the care of someone else is very foreign to me and my initial thought was that it would be expensive and would take a long while for things to be processed, picked up, delivered and etc.. But I was shocked at how efficient the couriers were, the entire process was affordable and as easy as a breeze. As a girl who is a fashion enthusiast with crazy shopping tendencies, needless to say I have A LOT of things in my possession that needed to be stored away for the summer. I placed my order in the afternoon (5 full boxes, don't judge me!) and LOVESPACE magically appeared the next day to pick up. The courier was so helpful - he brought out his trolley, stacked my boxes up and within no time they were off to the storage unit. I was a happy bunny. I am quite flexible with my time during the summer. I would most probably be back home between Malaysia and Singapore, spending some quality time with my family, relatives and friends, stuffing my face with delicious local delicacies and then running around the park trying to shed it all off. Q. What is your favourite thing about Exeter University? Despite having to scale hills (some hills are THAT steep that I would consider them mini mountains) wherever we go, I love how we are constantly surrounded by greenery which provides a calm and soothing sense of serenity, especially after a long day of lectures. Since the campus sits on a hill, we have an amazing view overlooking the city and we don’t even have to go that high up to enjoy perfect and unobstructed scenery. The best part is finding adorable squirrels and rabbits on campus, which take my mind off everything and allow me to just bask in the ambience and company of these furry friends. Q. What is your favourite night out in Exeter? I don’t usually go out at night but when I do, I love hanging out at the Monkey Suit - a cocktail bar and lounge and have a couple of cocktails (and maybe oggle at the cute bartenders) and catch up with some friends. Trust us Rachel, 5 boxes is no biggy! We've seen many students with over 20 boxes! If you’re a student at Exeter University, our student storage expert Rachel will be able to help you with any questions you may have about LOVESPACE or student storage.